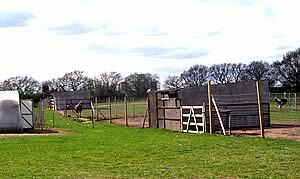 The British Domesticated Ostrich Association was founded in December 1992 to support the developing industry. During the development phase there were many producers and the industry grew to some 20,000 birds. In 1995 a number of the investment companies were exposed and this led to a very rapid decline. There were a number of other factors that also contributed to this rapid decline. A few dedicated operations remain producing Ostrich in England complete with their own slaughter and meat processing facilities. During this period the decline in small retail businesses and growth of the supermarkets has been well reported and documented. This development has forced increasing efficiencies on mainstream livestock producers, putting greater pressure on the development of small producers creating a new industry. It is this environment that UK Ostrich producers have been working to build a new industry.